These delicate cookies are so dreamy and a perfect combination of flavours that you will just want to savior. For some reason I think these are super girly and so I could see these going down well at a tea party or girls birthday party, add a sprinkle of raspberries to decorate they will look perfect. 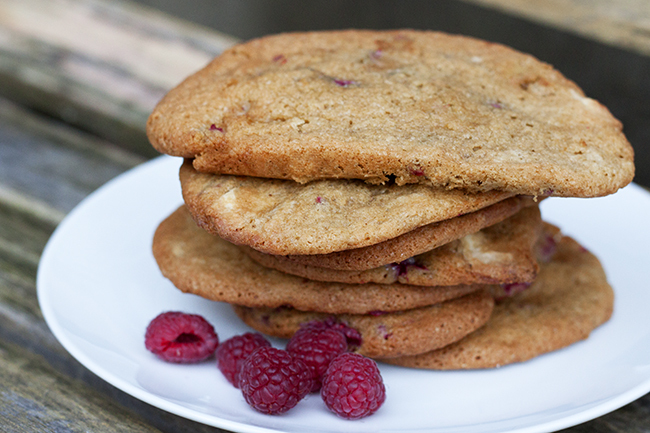 This vanilla, raspberry & white chocolate chip cookie recipe makes very soft cookies which I suggest you handle with care 😉 ( I suggest leave them laid out flat if possible). 1. Preheat the oven to 180oc or gas mark 4. Line a baking tray with greaseproof paper. 2. Mix together the butter and sugar. 3. 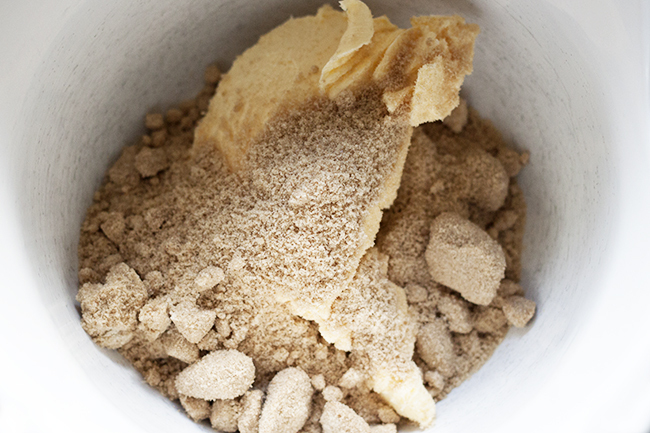 Add the egg, vanilla extract, flour, salt, baking powder and bicarbonate of soda and mix well. 4. Chop up your chocolate in to chips (unless you have actual chocolate chips). 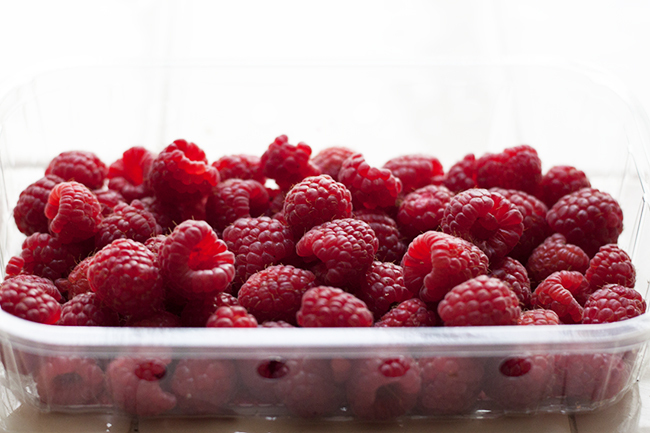 Half your raspberries and add to the mixture. Mix well. 5. My mixture was a little stiff, if yours is too just add a little bit of milk to ease it up. 6. 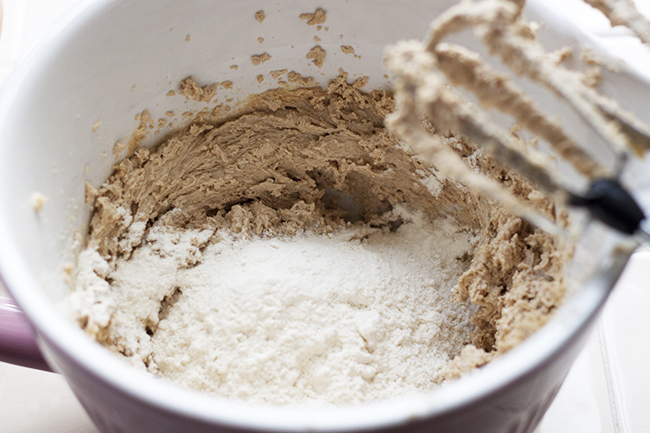 Using a large spoon, split the mixture up and spoon on to the tray. Place them fairly spaced apart of the baking tray (these do spread out whilst cooking) and bake for 12 mins. And I suggest you enjoy whilst a little warm for extra yumminess! must of been a cold day for photos! 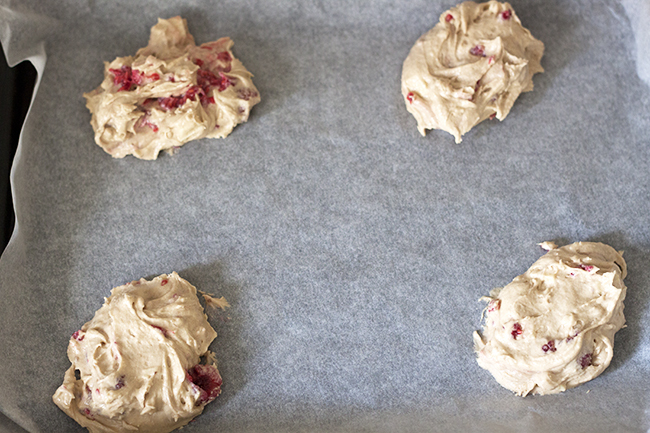 Looking for a raspberry & white choc recipe and this looks like the best of the bunch. Just off to get my chocolate so I can impress the family tomorrow. Thanks Emma.